It was about four years ago when I noticed that “fresh & healthy Mediterranean” restaurant Z Garden had opened a second branch at 313 Wilshire Blvd. in Downtown Santa Monica. I’m not sure what happened, but it appears that they have vacated this location. 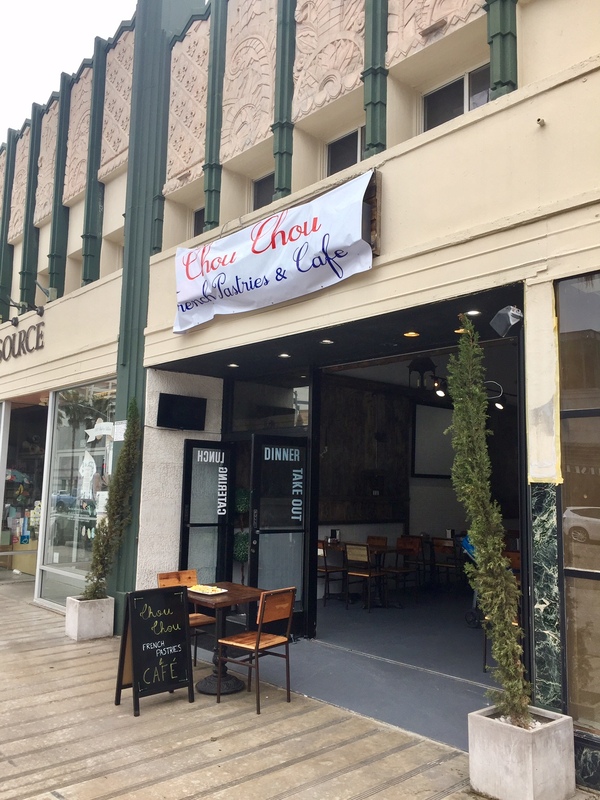 And wasting no time whatsoever, a hastily hung banner announces that Chou Chou French Pastries & Cafe have quietly slipped in. I’m not certain who’s behind this and there’s not a lot of information out there yet. If you’re missing Z Garden, their other location is still open on Pico.